Since it’s opening in early 2013, District Mot has been thrust into becoming one of the hottest restaurants in town thanks to its hawker themed interior and menu. 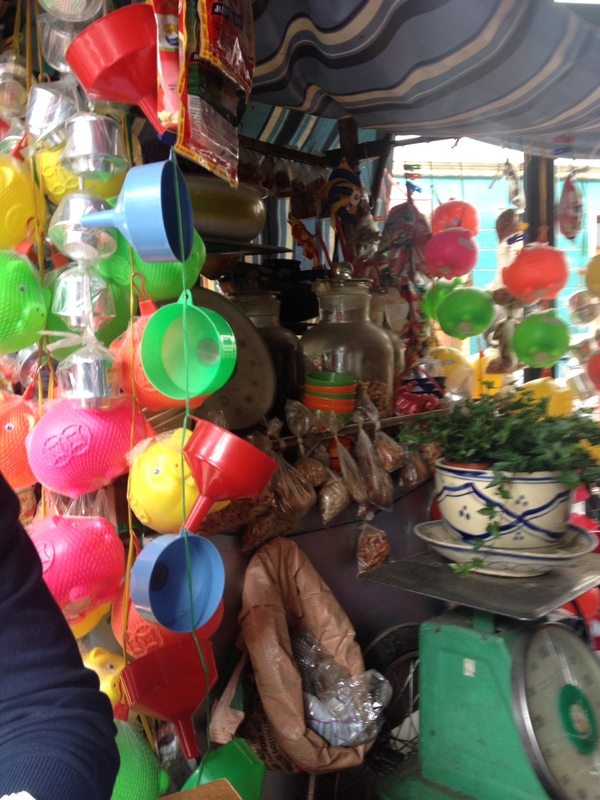 Covered in kitsch-Viet style, the authentic décor even embraces plastics stools and an array of plastic merchandise including buckets, bowls, pink money pigs and funnels. Inside the front entryway, a traditional hawker stall is set up and shows off even more Vietnamese classics such as hanging coffee pots, bags of nuts and fermented meats in jars of alcohol. A jumble of wires to resemble power lines, complicates the roof and screams issues of OHS. With large, open windows surrounding two sides of the corner block, in the warmer weather, there is a distinctively tropical feel inside the restaurant. The tables are equip with all of the essentials from the toilet paper roll (for napkins), a mismatch of chopsticks in a tin and the all important Hoisin and Sriracha sauces ready for your dipping pleasure. 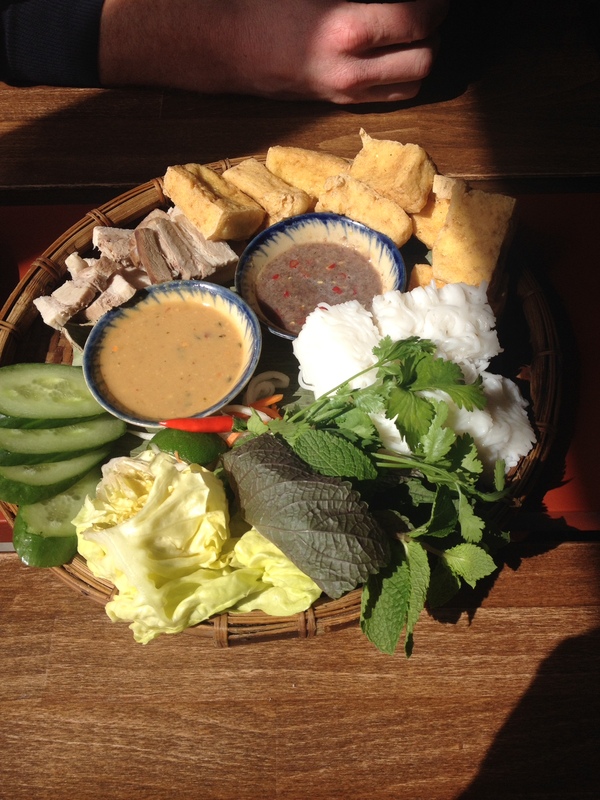 The menu incorporates both the traditional dishes of Vietnam such as Saigon specials; chicken feet, frog and silkworm but also offers a sizable contemporary menu for the not so brave. 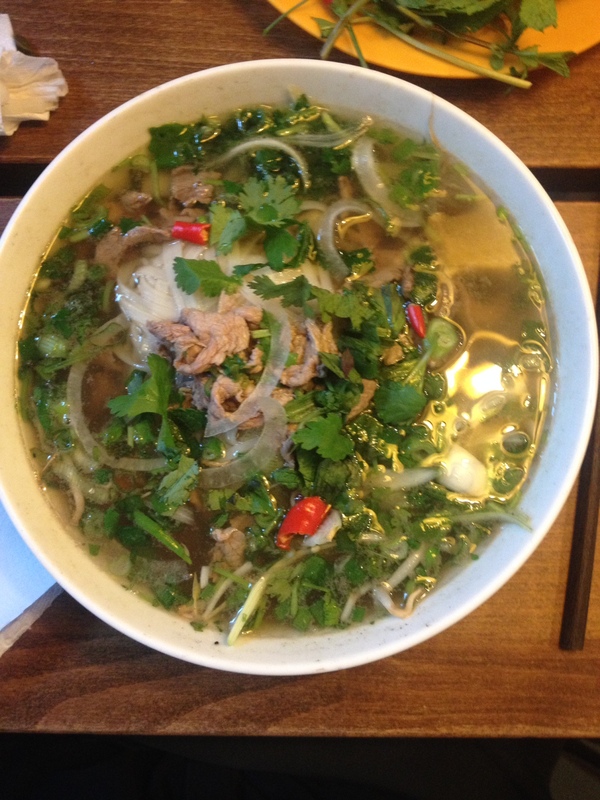 With a genuine focus on traditional flavours, the bun cha, pho and bao incorporate coriander, chilli, lime and salt with fresh meat and tofu, reviving the fresh, crisp taste synonymous with Vietnamese food: cooked seconds before it is served at your table. 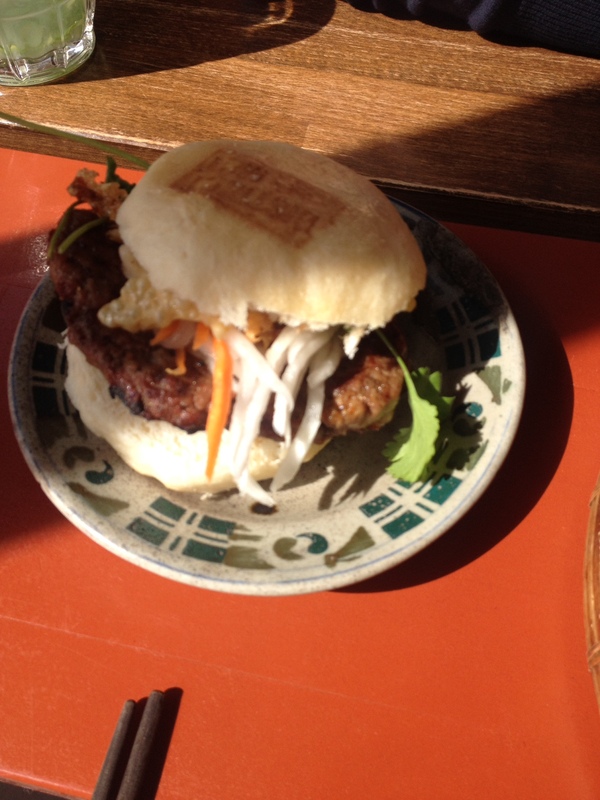 A highly acclaimed not-so-Viet District Mot burger brings concepts of the humble bao together with an average burger. At first I was sceptical as this is THE dish everyone regards as the best, but although I enjoyed the more traditional dishes such as the beef pho, I have to say the burger was pretty tasty and a fun concept for a city currently going through a burger frenzy. Whilst the prices are a far cry from an actual Hawker stand, the food is authentic and delicious. 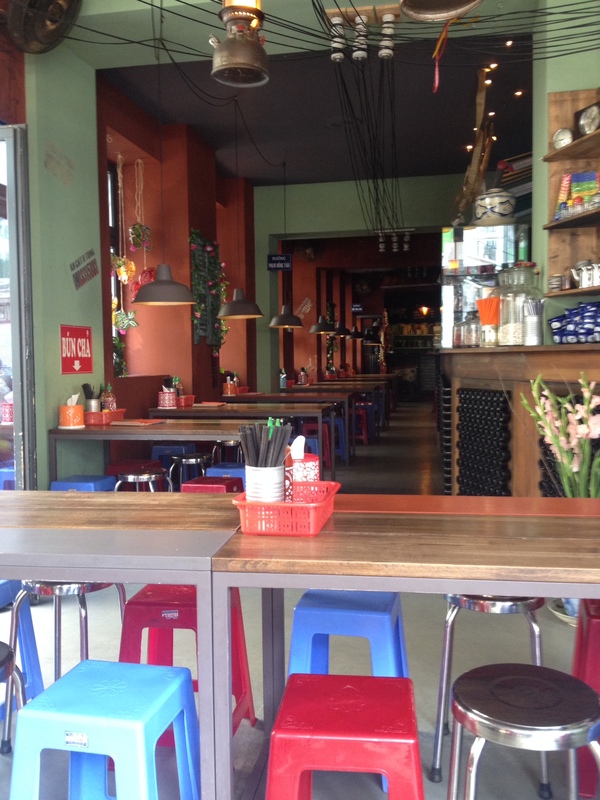 Although there is some pretension floating in the air from staff and patrons alike, the general feel – thanks to the smell of incense and plastic imports as well as Tiger beer – of District mot is second to none and offers the best of Asian flavours this side of Hanoi. ← Potsdam: A quirky day trip from Berlin.